Son yıllarda, nüfus artışıyla birlikte su ihtiyacındaki artışa karşın azalan su kaynakları, insanoğlunu yeni su kaynakları arayışına yöneltmektedir. Bu kaynaklar arasında da en göze çarpanı çeşitli yollarla kirletilmiş suları arıtarak kullanmaktır. Atık suyun arıtımı için alternatif yöntemlerden biri de yapay sulak alanlardır. Bu arıtım mekanizması ekonomik katkının yanında kirlilik ve patojen mikroorganizma gideriminde de etkili olmasından dolayı tercih edilmektedir. Yapay sulak alanlar ılıman ve sıcak iklime sahip yerleşim yerlerinde yaygın olarak kullanılmaktadır. Soğuk iklim koşullarında ise özellikle düşük sıcaklık nedeniyle arıtımın verimliliği düşmektedir. Bu çalışmada da soğuk iklim koşullarında kullanımı için yapılması gerekenler incelemiş ve öneriler verilmiştir. In recent years, the depleting water resources in response to the increasing need for water along with increase in population have led researchers to search new water resources. Among these sources, the most spectacular one is the use of polluted waters after treatment. One of the alternative methods for the treatment of wastewaters is constructed wetlands. This treatment mechanism is preferred due to its effectiveness in the removal of pollution and pathogen microorganisms as well as its economic contribution. Constructed wetlands are widely used in regions with warm climates, while in cold climate conditions, low temperatures result in decreased treatment efficiency. In this study, the use of constructed wetlands in cold climate conditions has been reviewed and necessary suggestions reported. Angın İ, Tunç T, Şahin Ü (2010). Yapay Sulak Alanların Soğuk İklim Şartlarında Kullanılabilirliği. Tarım Bilimleri Araştırma Dergisi (TABAD) 3(2): 59-64. Anonymous (2013). ORSAM Rapor:78. Orsam Su Araştırmaları Programı. Rapor No:8, Eylül. http://www.orsam.org.tr.pdf . Date of access: 08.11.2016 Bojcevska H, Tonderski K (2007). Impact of loads, season, and plant species on the performance of a tropical constructed wetland polishing effluent from sugar factory stabilization ponds. Ecological Engineering, 29(1): 66-76. Breen PF (1990). A mass balance method for assessing the potential of artificial wetlands for wastewater treatment. Water Research, 24 (6): 689-697. Brix H, Arias CA (2005). The use of vertical ﬂow constructed wetlands for on-site treatment of domestic wastewater: New Danish guidelines. Ecological Eng., 25 (5): 491-500. Bruch I, Fritsche J, Bänninger D, Alewella U, Sendelov M, Hürlimann H, Hasselbach R, Alewell C (2011). Improving the treatment efficiency of constructed wetlands with zeolite-containing filter sands. Bioresource Technology 102 (2): 937-941. Caselles-Osorio A, Vega H, Lancheros JC, Casierra-Martínez HA, Mosquera JE (2017). Horizontal subsurface-flow constructed wetland removal efficiency using Cyperus articulatus L. Ecological Engineering, 99: 479-485. Cooper PF, Boon AC (1987). The use of Phragmites for wastewater treatment by the root zone method: the UK approach. In: Reddy, K.R., Smith, W.H. (Eds. ), Aquatic Plants for Water Treatment and Resource Recovery. Magnolia Publishing, Orlando, FL, pp. 153–174. Cooper P (2005). The performance of vertical flow constructed wetland systems with special reference to the significance of oxygen transfer and hydraulic loading rates. Water Science & Technology, 51 (9): 81–90. Dan TH, Quang LN, Chiem NH, Brix H (2011). Treatment of high-strength wastewater in tropical constructed wetlands planted with Sesbania sesban: horizontal subsurface flow versus vertical downflow. Ecological Engineering, 37 (5): 711-720. Environmental Protection Agency (EPA) (1999). Free Water Surface Wetlands for Wastewater Treatment: A technology Assessment. Washington. D. C. Garcia J, Rousseau DP, Morato J, Lesage ELS, Matamoros V, Bayona JM (2010). Contaminant removal processes in subsurface-flow constructed wetlands: a review. Critical Reviews in Environmental Science and Technology, 40 (7): 561-661. Gersberg RM, Elkins BV, Lyon SR, Goldman CR (1986). Role of aquatic plants in wastewater treatment by artificial wetlands. Water research, 20 (3): 363-368. Gökalp Z, Şahin M, Çakmak B (2013). Köy Kanalizasyon Sularının Doğal Arıtma Sistemleri ile Arıtılması. Ulusal Kop Bölgesel Kalkınma Sempozyumu 14-16 Kasım, Konya. Gökalp Z, Çakmak B (2015). Atık Su Arıtmada Yapay Sulak Alan Teknolojileri ve Uygulamada Karşılaşılan Sorunlar. 1. Ulusal Biyosistem Mühendisliği Kongresi, 9-11 Haziran, Bursa. Greenway M, Bolton KGE (1996). From wastes to resources—turning over a new leaf: Melaleuca trees for wastewater treatment. Trans Tech Publications. In Retrospective Collection Vol. 16, pp. 363-366. He LS, Liu HL, Xi BD, Zhu YB (2006). Effects of effluent recirculation in vertical flow constructed wetland on treatment efficiency of livestock wastewater. Water Sci. Technol. 54 (11-12): 137-146. Hershkowitz J (1986). Listowel Artifical Marsh Project Report. Ontario Ministry of the Environment, Water Resources Branch, Toronto. İnci A (2011). Oruçoğlu Köyü Yapay Sulakalan Sistemi Performansını Etkileyen Faktörlerin Belirlenmesi ve Performans Artırıcı Çözümler. Gebze Yüksek Teknoloji Enstitüsü Mühendislik ve Fen Bilimleri Enstitüsü. Çevre Mühendisliği Anabilim Dalı Yüksek Lisans Tezi. Gebze. Ji CD, Sun TH, Ni JR (2007). Surface flow constructed wetland for heavy oil produced water treatment. Ecological Engineering, 98 (2): 436-441. Kadlec RH, Knight RL (1996). Treatment Wetlands. CRC Press LLC. Boca Raton, FL. Kadlec RH, Wallace SD (2009). Treatment Wetlands, second ed. CRC Press/Taylor & Francis Group, Boca Raton, FL 33487-2742, USA. Kantawanichkul S, Kladprasert S, Brix H (2009). Treatment of high-strength wastewater in tropical vertical flow constructed wetlands planted with Typha angustifolia and Cyperus involucratus. Ecological Engineering, 35 (2): 238-247. Konnerup D, Koottatep T, Brix H (2009). Treatment of domestic wastewater in tropical, subsurface flow constructed wetlands planted with Canna and Heliconia. Ecological engineering, 35 (2): 248-257. Lee S, Maniquiz MC, Kim LH (2010). Characteristics of contaminants in water and sediment of a constructed wetland treating piggery wastewater effluent. Journal of Environmental Sciences 22 (6): 940-945. Leto C, Tuttolomondo T, La Bella S, Leone R, Licata M (2013). Effects of plant species in a horizontal subsurface flow constructed wetland–phytoremediation of treated urban wastewater with Cyperus alternifolius L. and Typha latifolia L. in the West of Sicily (Italy). Ecological engineering, 61(Part A): 282-291. Li X, Chen M, Anderson BC (2009). Design and performance of a water quality treatment wetland in a public park in Shanghai, China. Ecological Engineering, 35 (1): 18-24. Maine MA, Suñe N, Hadad H, Sánchez G (2007). Temporal and spatial variation of phosphate distribution in the sediment of free water surface constructed wetland. Sci. Total Environ. 380 (1-3): 75-83. Masi F, Martinuzzi N (2007). Constructed wetlands for the Mediterranean countries: hybrid systems for water reuse and sustainable sanitation. Desalination, 215 (1-3): 44-55. Merz SK (2000). Guidelines for Using Free Water Surface Constructed Wetlands to Treat Municipal Sewage. Queensland Department of Natural Resources, Brisbane, Australia. Metcalf Eddy (2002). Wastewater Engineering; Treatment and Reuse, 4h ed., Mc Graw Hill, Newyork. Munoz P, Drizo A, Hession WC (2006). Flow patterns of dairy wastewater constructed wetlands in a cold climate. Water Research, 40 (17): 3209-3218. Nivala J, Hoos MB, Cross C, Wallace S, Parkin G (2007). Treatment of landfill leachate using an aerated, horizontal subsurface-flow constructed wetland. Science of the Total Environment, 380 (1): 19-27. Poach ME, Hunt PG, Reddy GB, Stone KC, Johnson MH, Grubbs A (2007). Effect of intermittent drainage on swine wastewater treatment by marsh-pond-marsh constructed wetlands. Ecological Engineering, 30 (1): 43–50. Polprasert C, Koottatep T (2004). Integrated pond and constructed wetland systems for sustainable wastewater management. Proc. Joint IWA 9th International Conference on Wetland Systems for Water Pollution Control and 6th International Conference on Waste Stabilization Ponds, Avignon, France, pp. 25–33. Rana S, Bag SK, Golder D, Roy SM, Pradhan C, Jana BB (2011). 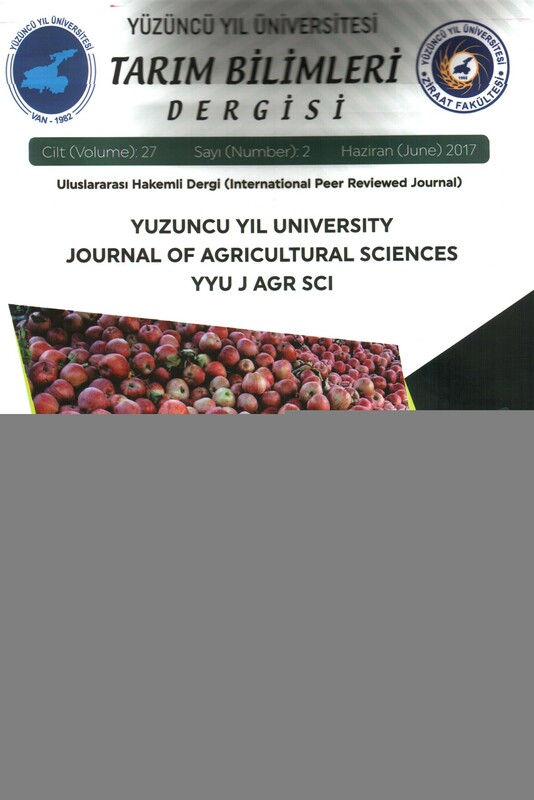 Reclamation of municipal domestic wastewater by aquaponics of tomato plants. Ecological Engineering, 37(6): 981-988. Rousseau DPL, Vanrolleghem PA, Pauw ND (2004). Constructed wetlands in Flanders: a performance analysis. Ecological Engineering, 23 (1): 151–16. Saeed T, Sun G (2012). A review on nitrogen and organics removal mechanisms in subsurface flow constructed wetlands: dependency on environmental parameters, operating conditions and supporting media. Journal of Environmental Management, 112: 429-448. Scholz M, Lee BH (2005). Constructed wetlands: a review. International Journal of Environmental Studies, 62 (4): 421-447. Shipin O, Koottatep T, Khanh NTT, Polprasert C (2005). Integrated natural treatment systems for developing communities: low-tech N-removal through the fluctuating microbial pathways. Water Science & Technol., 51 (12): 299–306. Shutes RBE (2001). Artificial wetlands and water quality improvement. Environment International, 26 (5): 441-447. Smith ID, Bis GN, Lemon ER, Rozema LR (1997). A thermal analysis of a sub-surface, vertical flow constructed wetland. Water Science & Technology, 35 (5): 55-62. Song Z, Zheng Z, Li J, Sun X, Han X, Wang W, Xu M (2006). Seasonal and annual performance of a full-scale constructed wetland system for sewage treatment in China. Ecological Engineering, 26 (3): 272-282. Stoltz E, Greger M (2002). Accumulation properties of As, Cd, Cu, Pb and Zn by four wetland plant species growing on submerged mine tailings Environ. Exp. Bot., 47: 271-280. Tang XQ, Huang SL, Scholz M (2009). Nutrient removal in pilot-scale constructed wetlands treating eutrophic river water: assessment of plants, intermittent artificial aeration and polyhedron hollow polypropylene balls. Water Air Soil Pollut. 197: 61-73. Verhoeven JTA, Meuleman AFM (1999). Wetlands for Wastewater Treatment: Opportunities and Limitations. Ecological Engineering 12 (1-2): 5-12. Vymazal J (2009). The use constructed wetlands with horizontal sub-surface flow for various types of wastewater. Ecological Engineering, 35 (1): 1-17. Vymazal J (2011). Plants used in constructed wetlands with horizontal subsurface flow: a review. Hydrobiologia, 674: 133–156. Vymazal J (2013) Emergent plants used in free water surface constructed wetlands: a review Ecological Engineering, 61 (Part B): 582-592. Wallace S, Parkin G, Cross C (2001). Cold climate wetlands: design and performance. Water Science and Technology, 44 (11-12): 259-265. Werker AG, Dougherty JM, McHenry JL, Van Loon WA (2002). Treatment Variability for Wetland Wastewater Treatment Desing in Cold Climates. Ecological Eng., 19: 1-11. Wu H, Zhang J, Ngo HH, Guo W, Hu Z, Liang S, Liu H (2015). A review on the sustainability of constructed wetlands for wastewater treatment: design and operation. Bioresource technology, 175: 594-601. Yan Y, Xu J (2014). Improving winter performance of constructed wetlands for wastewater treatment in Northern China: a review. Wetlands, 34: 243–253. Ye ZH, Whiting SN, Lin ZQ, Lytle CM, Qian JH, Terry N (2001). Removal and distribution of iron, manganese, cobalt and nickel within a Pennsylvania constructed wetland treating coal combustion by-product leachate. J. Environ. Qual., 30 (4): 1464-1473. Zayed A, Growthaman S, Terry N (1998). Phytoaccumulation of trace elements by wetland plants. I. DuckweedJ. Environ. Qual., 27: 715-721. Zhao C, Xie H, Xu J, Xu X, Zhang J, Hu Z, Wang J (2015). Bacterial community variation and microbial mechanism of triclosan (TCS) removal by constructed wetlands with different types of plants. Science of The Total Environment, 505: 633-639. Zhang DQ, Jinadasa KBSN, Gersberg RM, Liu Y, Ng WJ, Tan SK (2014). Application of constructed wetlands for wastewater treatment in developing countries–a review of recent developments (2000–2013). J. of Environmental Management, 141: 116-131.